Love giraffes? Then you’ll love this Giraffe party theme! 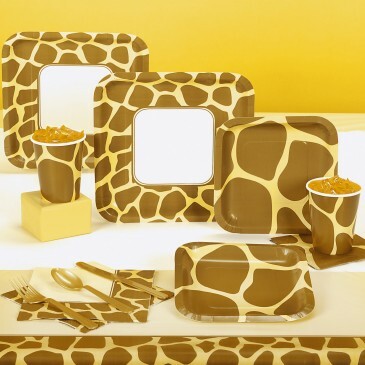 Party Pack for 8 includes: (8) square deep dish dinner plates, square deep dish dessert plates, cups, forks, spoons, knives, (16) lunch napkins, (16) beverage napkins, and Animal Print Giraffe tablecover.